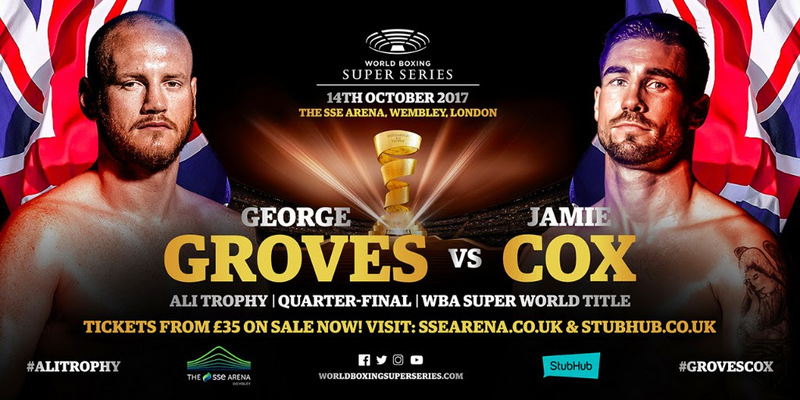 Coach John Costello believes George Groves made a big mistake when he selected Jamie Cox as his quarter-final opponent ahead of their all-British Muhammad Ali Trophy showdown on Saturday at the SSE Arena, Wembley in London. Costello has been in Cox’s corner for the last 11 years and has helped shape the Swindon man into the fighter he is today. His first World Boxing Super Series test will see the undefeated 31 year-old challenge for the WBA Super World belt. “We always wanted this fight with George Groves. We’d asked for this fight before so when George picked Jamie in Monte Carlo we was in our element. All our Christmases had come at once,” reveals Costello, who believes his boxer has the beating of any man in the super middleweight division. ‘’I’ve said it before and people have laughed at me. I’ve believe Jamie can beat any 12 stone fighter on the planet. People are talking about size but that has no relevance for me. Carl Froch was 12 stone 4 when he fought George Groves at Wembley, and I believe George was over 13 stone. Jamie will be heavier than 12 stone 4. Jamie would be dehydrated if he got into the ring at 12 stone 4.